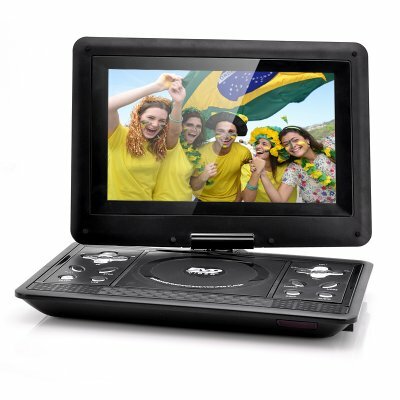 Successfully Added 10.1 Inch LCD Portable DVD Player - Gaming, Copy Function, 270 Degree Swivel Rotation, 1024x768 Resolution to your Shopping Cart. 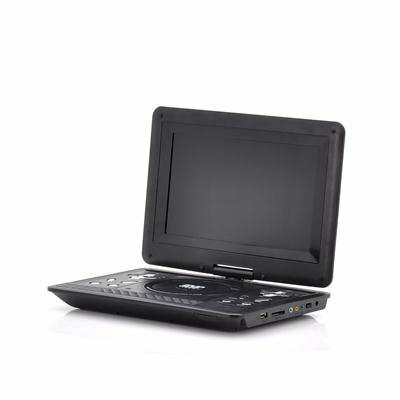 10.1 Inch LCD Portable DVD Player is great for Gaming plus it has a Copy Function, a 270 Degree Swivel Rotation and a 1024x768 Resolution, overall it is a spectacular digital multimedia device. Keep yourself busy on that next journey with large screen 10.1 inch LCD portable DVD player that is certainly a definitive portable entertainment source. Boasting a 1024x768 resolution and a 16:9 aspect ratio, all your epic action will look sharp and appealing. Everything will sound excellent as this DVD player also has two 2 watt built-in speakers. Using the allocated ports, you can insert a USB stick or a SD card for extra multimedia playback options and furthermore there is a copy. Have complete freedom to choose the perfect viewing angle that suits you because this portable car DVD player has a 270 degree swiveling rotation screen. A controller accompanies this car DVD player, which once connected, lets you play games meaning you can be entertained for endless hours. Lastly, this car DVD player supports a vast range of multimedia formats, therefore you can listen to music, watch video clips, view photos or you can also insert a DVD, CD, EVD, VCD, CD-RW or a DVD-R. Whenever you head out for a long journey ensure you take this LCD DVD player, whether you are going on a car trip, bus ride, a commute to work or even up in the clouds on an airplane. This product is in stock now, we guarantee next working day shipping and offer a 12 months warranty on all our products. Brought to you by the leader in electronic devices and wholesale Portable DVD Players, Chinavasion.